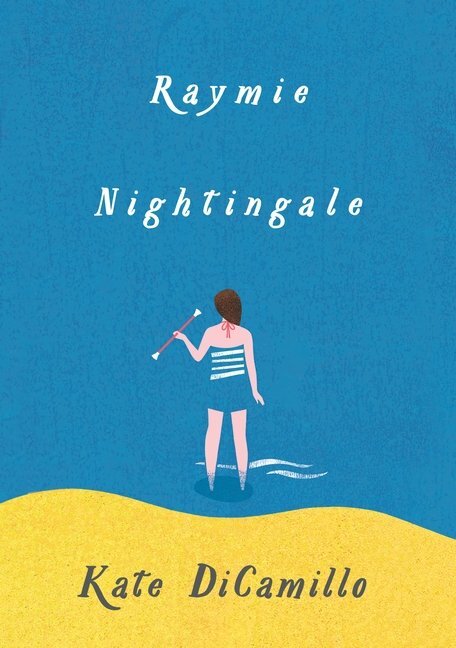 We’re back again today with more on Kate DiCamillo’s latest middle grade novel, Raymie Nightingale. Hilary Taber’s got some terrific questions lined up for a chance to get the author’s insights about writing this moving story. Hilary Taber: Raymie is a character that is dear to my heart. She’s going through such a hard time, and at the same time she’s looking for what is true about life, what is real, what can be counted on. Is Raymie like you in this way or is that a particular facet of her character? Kate DiCamillo: Raymie, oh Raymie. Raymie is very much like me. In particular, she is very much like me as a child. HT: Raymie’s father’s secretary, Mrs. Sylvester, is such a sweetheart. It’s sort of like Raymie gets to have a very practical, straightforward mentor and encourager on the phone whenever she needs someone. Mrs. Borkowski is almost like the opposite of Mrs. Sylvester. She says such mysterious things that make you wonder if they are true somehow. Are these characters based on someone you know or are they both a symbol of the archetypal wise woman? 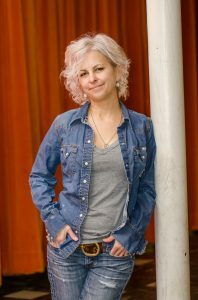 Children’s book author, Kate DiCamillo, National Ambassador for Young People’s Literature for 2014–2015 and winner of a Newbery Medal and a Newbery Honor. KDC: I had the great good-fortune of growing up on a dead-end street in a small town. One side of the street was families with young children; and on the other side of the street there were three widows: Mrs. Lucas, Mrs. Lindemann and Mrs. Broadfield. These ladies all kept their doors and hearts open to the kids on the street. I could also go and sit on Mrs. Lindemann’s porch and talk with her. Mrs. Sylvester and Mrs. Borkowski are fictional characters, but they are also a way of thanking those ladies. HT: Raymie, Beverly and Louisiana each have a problem of their own. Their shared suffering seems to unite them until they are almost a little family. Are these three friends going to make it? I believe that Raymie will make it, but I worry about Beverly and Louisiana. You’ve got me so invested in them! KDC: I believe—absolutely—that all three of them will make it. I have no doubt about this. HT: I’m fascinated by Louisiana’s bunny barrettes. They seem like Louisiana herself – present but also little, a tiny bit removed from reality. Did you make those up or did you ever see anyone who wore those? KDC: Oh boy. And: bless you. I had bunny barrettes. I lost them in Mrs. Lucas’ backyard. HT: As a child, did you have a book about a larger than life hero like Raymie did? Was there a particular person that you considered your hero when you were a child? KDC: Librarians were my heroes. Teachers were my heroes. Anybody who put a book in my hand was my hero. HT: Marsha Jean. Marsha Jean haunts me. Marsha Jean is not real, but yet she is. She’s the, “…ghost of what’s to come.” She’s a person that Louisiana’s grandmother has made up to keep her granddaughter on her toes. What made you think of writing about Louisiana who is pursued by the unknown? KDC: Hmmm. I don’t know. So much of what happens in a story is not planned out by me, but is rather a surprise to me. So I don’t know how this happened. I do know that I am familiar with that feeling of being pursued by the unknown. HT: Beverly is initially such a gritty realist, but she can be very sweet. Louisiana is more vague and kind initially, but she can be strongly adamant about how there is room to hope. Where do you see Raymie to be? Is Raymie somewhere between these two? KDC: Raymie is somewhere in the middle, yes. She is an introvert, a hoper, a watcher. Like me. HT: The more I read Raymie Nightingale, the more I realized that wisdom and truth are ever present in everyday life. Raymie is someone who listens for it. She listens for people to say something true, something wise. Were you like Raymie when you were a child? Did you listen for a certain phrase or words of truth like Raymie does? KDC: I did. I still do. Many thanks to Kate DiCamillo for answering my questions, and to the entire team at Candlewick! As Kate is my writing hero I treasure this chance to interview her. It’s a once in a lifetime opportunity I will not soon forget. Summer reading is coming up! Be sure to go to your local indie bookstore and get a copy of Raymie Nightingale today. I can’t imagine anyone else that I would rather spend the summer with than Raymie, Beverly and Louisiana a.k.a. The Three Rancheros! Click here to read Hilary’s review of Raymie Nightingale from Monday, May 16th. 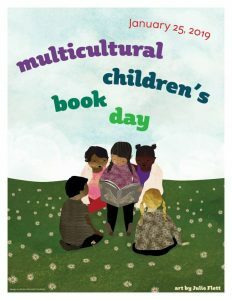 Click here for Kate DiCamillo’s Facebook page. 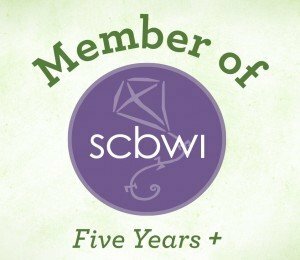 Click here for Kate DiCamillo’s website. Raymie Clarke is preparing herself to enter the Little Miss Florida Central Tire competition. Her father has recently run off with a dental hygienist, and Raymie is determined to win so that he will see Raymie’s picture in a newspaper and will, of course, come back to his family. This is the initial plan, but like most plans it doesn’t turn out the way that Raymie originally intended. First of all she needs to learn how to twirl a baton in order to win the competition. It is during those baton twirling classes that she meets her “rancheros”, her new friends who become like family. Gritty, but sweet Beverly, and storyteller extraordinaire Louisiana, help her through this hard time. Maybe, just maybe, Raymie is more than just a little girl with a big dream to get her father to come home. Maybe, just maybe, Raymie is destined for adventures with her new friends that show Raymie that she is the hero of her own difficult time. Raymie finds that somewhere in her is a person who is stronger than the storms of life. She also learns that, with help from her friends, she can manage to make her way to a new life full of goodness and grace. It is a life that she could have never imagined when she began making her plans to turn things around. Kate DiCamillo delivers yet another wonderful novel that makes you believe again in the strong, incredible power of friendship and hope. It is that rare quality of combining sorrow with sweetness that makes every book she writes life affirming. Every book is like watching a sweet spring creep over a winter world. 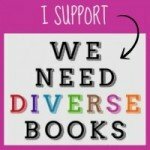 Often as a children’s bookseller, I see an absolute faith placed in her books by the children who read them. Even though the story might be hard to read, the children show a willingness to take the journey with Kate. Time and time again I wonder what it is that they are feeling when they look at her books in their little hands. I think it’s something akin to knowing that she is telling them the truth. There is a certain peace in that. Kate tells us that life is hard, but you should always hope. Hope is real, hope is something to hold on to, hope is the stuff of life. On a personal note I feel that Kate DiCamillo is the E.B. White of our generation. Like White she is adept in the art of condensing profound thoughts into short, but amazing sentences. I was honored to meet her recently and to have my copy of Raymie Nightingale signed. I think it’s worth noting that beyond the wonderful writing is a very brave writer. Kate has personally been through the very hard experience of having an absent father, and she has courageously taken up the task of writing about this time in her life. That had to be difficult. Ultimately I think her bravery in writing about this time in her life will help to heal others who have gone though something similar. So, here is to one amazing writer who is also incredibly resilient, just like Raymie. Come back tomorrow to read Hilary’s interview with Kate DiCamillo to get the inside scoop. Download a teacher’s guide here. Download a book discussion guide here.